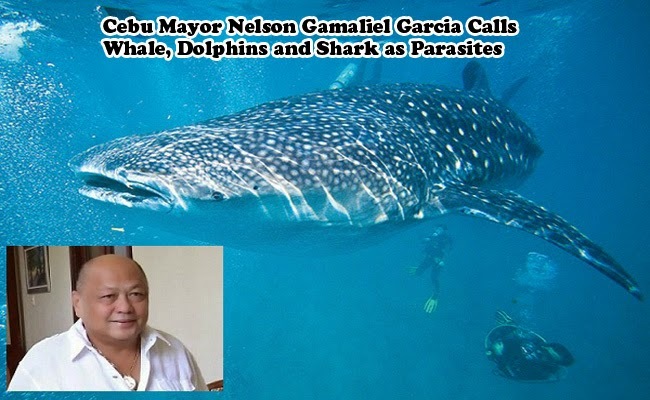 Mayor Nelson Gamaliel Garcia of Dumanjug, Cebu lamented that whales, dolphins, and sharks are now considered as parasites in Tañon Strait. His statement during Protected Seascape Stakeholders’ Summit held in Cebu last January 11, 2015 had created mixed reactions from those part of the summit and environmental groups. Protected Seascape Stakeholders’ Summit was supposed to be held for talks on environmental restoration especially for the Tañon Strait beautification. Tañon Strait is considered as the largest protected marine area in the Philippines. Consequently, the large numbers of whales, dolphins, and sharks had been the reason why his town had waning number of fish catch. The dwindling catch of fishermen greatly affects their livelihood and economy. He also explained that the marine animals had been consuming two tons of fish everyday that was suppose to be for the livelihood of the fisherman around the area of Tañon Strait. He was only suggesting to control the number of the considered parasites in the area. He also cited that one way to make the situation better is ti kill some of these marine animals like what the Japanese do in Wakayama Perfecture, Japan. In a town named Taiji, a whale hunting season from September till February is both traditional and legal. Some dolphins are sold for their meat while others are sold for their aquariums. The annual quota for the said whale hunting is around 2,000 dolphins and porpoises of certain species as reported by Philippine Star. On the other hand, Oceana, the international marine conservation organization which was behind the said summit made clear that they are determined to protect the area which had been a protected seascape since 1998 as it was known to be an area where 14 distinct species of dolphins and whales dwell. According to Regional Executive Director Isabelo Montejo of DENR, they will find a way to make a balance between the the area’s economy and environment protection.